This second installment of #AskFOR comes in right on time for the holidays and is a special request from one of my girl friends who also suffers from CES (Crappy Eyelash Syndrome). However, hear this my ladies: there is a way to rival false lashes, even if you don't think nature gave you the necessary tools. Are you a mascara and lash curler hoarder? Do you find yourself feeling envious of Daddy Long Legs instead of screaming for dear life when you spot them crawling up your wall? (ok that was gross, sorry.... but you get the point). I am going to show you how to get the longest, most luscious and luxurious eyelashes for all your upcoming holiday festivities. Caution: you may have to fend off a lot of jealous stares. Ok, i kid. Onward! 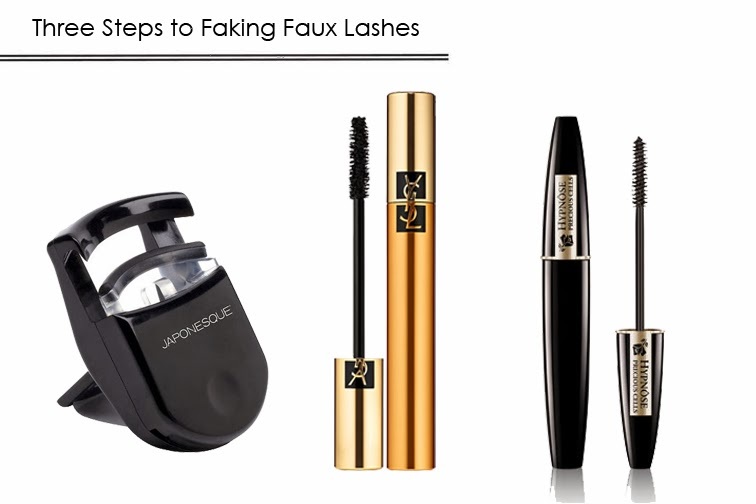 MYTH: You can't fake long voluminous eyelashes. FACT: I always get a ton of compliments on my long voluminous eyelashes (seriously, even from my eye doctor). FACT: I don't actually have long voluminous eyelashes. Or dark ones, for that matter. I have thin, flimsy, blond, poor excuses for lashes. There you have it -- myth debunked. I suppose that through the years of trying to make up for what i lack in the lash department, I've become a pro at faking a bounty of luscious lid locks. The number of mascaras that have come and gone through my makeup case since I started experimenting is outrageous, but it's safe to say that all those trials have served me right: I will show you the ultimate way I have discovered to attain supreme lashes that will make you forget all about perusing the faux lash section at your local CVS. And it's a matter of 3 (disguised as 4) small, well worth it steps. Here is what we're working with, folks, the BEFORE shot. Scary! STEP 1 -- Curl. You may think eyelash curlers are super 80s, or look too much like torture devices, but trust me, the eyelash curler is your best friend. I kind of think that this step is crucial in maximizing your length capacity, and it'll also set the foundation for opening up your entire face. I prefer the small plastic one as opposed to the more well-known metal clamp one because not only does it travel really well, but I find that it gives you more curl control. You can also use it on your lashes even you're already wearing mascara. I use (and loooove) the Japonesque Go Curl Pocket Eyelash Curler. This is what I recommend for your holiday lash look. Step 2 -- Mascara #1. That's right -- if your eyes are gonna fake it 'til they make it, you're gonna need more than 1 wand. Skeptical? Allow me to explain: ever notice how different mascaras claim different things? That's because the brush and formula are expertly crafted for that specific attribute, whether it's for more volume, longer length, more definition, etc. Personally, what i look for is length and volume. For volume i use YSL Mascara Volume Effet Faux Cils in Noir Radical. It's AMAZING. The brush is plump and thick and the formula is so dense that it basically adds all the drama you could ever want. To me, it blows the ubiquitous Diorshow out of the water. It's THAT good. So i start by applying a VERY LIBERAL coat of this formula for volume, almost as a base. But let's not stop there. Step 3 -- Mascara #2. LENGTH. Lengthy lashes will make you look more youthful, will make your eyes pop and will give you a more intense gaze without fail. On the daily, i would choose length over volume (but in a perfect world, i would have both at all times). Anyway, the winner in that department for me is -- drumroll, please -- Lancôme Hypnôse. Here is why: Not only is it incredibly lengthening (seriously, i don't know how they made that brush, but it really manages to trap every last piece of hair on your lash line), but it is also a very defining formula, i.e. it separates and declumps. I use the special Precious Cells formula because it conditions the lashes and makes them stronger (something i so desperately need, i assure you). Here's a very important pointer: as you're taking the wand out of the tube, wiggle its tip onto the opening to get rid of the excess gunk and use the tip to brush your lashes individually; this will help separate them nicely and avoid clumps. So at this point you've already applied your volume, and now you're adding length and definition. Get ready for your eyes to look wide open! I have to say, you have to be EXTREMELY liberal with your application. Once you've done that, go back to the volume formula to cake more on at the roots to add thickness. You have to make sure you act fast enough when you're going back and forth with your mascaras because you want to add as many coats as you can before it dries. Once the mascara dries, it's basically game over and the only thing you'll be doing is getting clumpy. And more power to you if you don't even need mascara at all and you were genetically blessed with dark, thick, mile high lashes. I hate love you in spite of my envy. For the rest of us, give this a try for your upcoming holiday soirées and you won't help feeling like your face is just a little bit fancier. 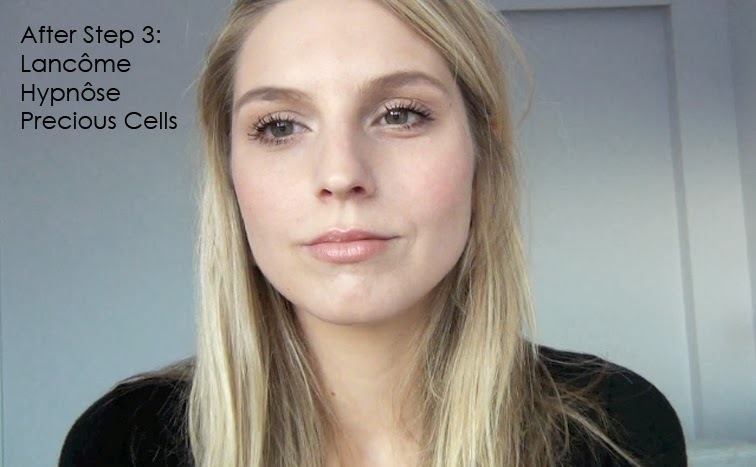 For an in-depth look at my mascara application technique, click play below! I'd love to know what mascaras you swear by or if you've tried any of the products I'm recommending! And don't forget to send me your beauty and style questions by commenting below or by shooting me an email -- your topic may just be the subject of my next #AskFOR! Oh my verd, speak French more! *hearts for eyes emoji* YSL and Lancome product names sound so much better when pronounced correctly. I have terminal CES so even pairing a waterproof mascara with curling my lashes doesn't stop them from 'wilting' after half an hour, hence why I'm married to my false lashes! Hmm, tips on setting yourself apart from the crowd when everyone doesn't dress too terribly nowadays?! Hard to explain but thanks to better quality high street, I think everyone kind of dresses well or at least not badly. But me being me, I want to look fab like I've stepped out of a lookbook heh. Or failing that, what would be your must-have pieces for the ultimate capsule wardrobe! LOVE your beauty posts! 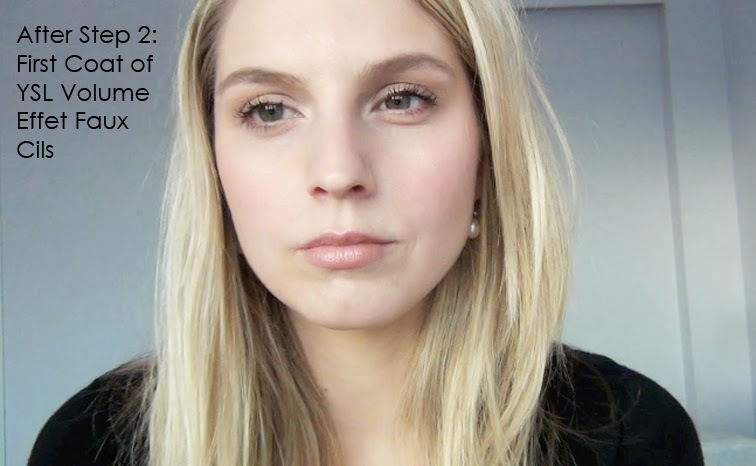 I'm sure many readers appreciate this helpful tip, and the insight about YSL's best mascara. ever. PLUS! it's scented, what's not to love about that detail? but in allllllll seriousness you look STUNNING!!!!!!! in the first pic, sans anything! That's totally besides the point of the post, but it's my personal fave look for you between mascara vs. no mascara: flawless stunner! OK! 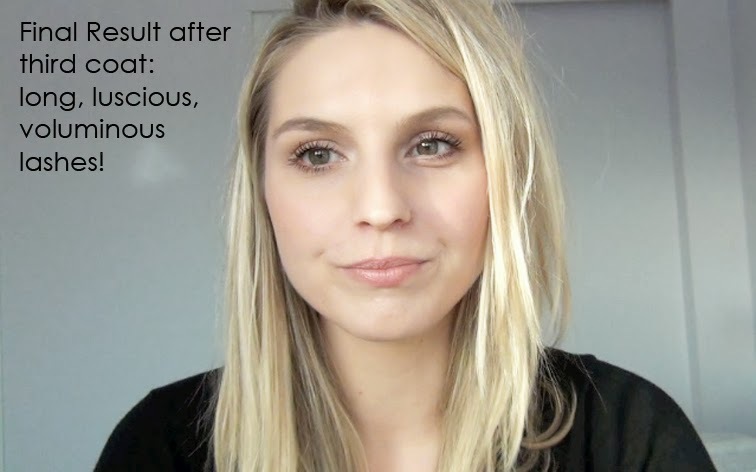 now next post, can you please divulge tips on your BROWS?!! they're bushy perfection. The difference is enormous. Interesting fact about different types of mascara brush and formula. I'm usually satisfied with one coat of mascara (maybe two) since my lashes are pretty thick and long (so a curler is a must). My favourite is L'Oreal Volume Million Lashes mascara. The brush with uncountless bristles seperates my lashes and doesn't smudge. I am obsessed with perfect lashes. Great post! great tips! I too suffer from the blonder-than-blonde lashes (even though I have dark red hair). I'll try this next time!